All authors get book reviews and should learn to accept the good book reviewers with the bad. Before the Internet, ebooks, Amazon and self-publishing, book reviews were the province of experienced newspaper literary journalists as well as publishers. These reviews were always timed to perfection to coincide with the release of a new book. It goes without saying that this was a decades-long, and a very controlled process by book publishers because most of the major book publishers owned, and still do, one or more national newspapers. So it was a nice, tidy little in-house incestuous relationship. Then along came technology, Amazon, self-publishing, ebooks and print-on-demand paperbacks and the tightly controlled book review business lost its absolute power. Every reader in the world became a potential book reviewer. Power to the people and all that, but book reviews by definition changed dramatically. From article length, balanced and mostly favourable reviews that featured in newspapers, book reviews became a couple of quick lines of personal on-line opinion. Along with a mandatory star rating, of course. Although this sounded quite fair in the beginning, the problems quickly manifested, as book reviews merely became an extension and part of social media, and as such, ranged in quality, sincerity and topic. Yes, the infamous trolls became a new fact of life. If you are a new author, you need to know that book reviewers and their reviews can come in all shades of the spectrum, so be prepared. It’s now a fact of life that authors have to accept the good with the bad, and sometimes, even spiteful and nasty reviews and comments. There are so many avenues now for people to post book reviews, but here is a short list of review types you might receive. Book Bloggers: In my experience, book bloggers write the most balanced reviews, and I am always pleased to receive them, whether positive or negative. In general, they do mention the story and what they either liked or disliked about it. While I never comment on these reviews, I have had to hold myself back on occasions, as quite a few of the reviews I have been lucky enough to get, have had some dreadful spelling mistakes. Easy to criticise authors, isn’t it? There is another form of book blogger. These sites copy and paste a book’s description and may add a few already published comments. Occasionally these posts might contain an original line or two, but rarely. These bloggers are affiliate marketers, who are trying to sell books to make a commission. The chances of them having read the book are quite remote, so I never class these as a book review. But, any publicity is good, so I’m happy to see these postings as well. Goodreads: The less said about this site, the better. Book reviews on book-related social media sites such as Goodreads became a real problem for a few years. Spiteful, vindictive and hateful are the words that come to mind of that time. Luckily, Goodreads was bought by Amazon, and it has made reasonable progress in cleaning up this site, but I do not even bother checking this site now. Amazon: Book reviews on Amazon are a crucial means of making book sales, but even though Amazon has made many attempts, the review system on Amazon is still far, far from perfect. While reviews making personal attacks on authors have been removed, erroneous, dumb, silly and pointless reviews are still posted. Apple, Kobo, B&N etc: While these sites don’t seem to gain as many reviews, they do appear to be far better moderated and controlled than Amazon. For a new author, the first few book reviews can range from exhilarating to heartbreaking. Over the years I have been publishing on Amazon, I would say as a rule of thumb that about 60% of the reviews I have received bother to mention the story. The rest are silly, bordering on stupid and usually come in distinct categories. Firstly, the grammar experts, or grammar police. I always wonder what is so fascinating about finding three typos in a full-length book and then deciding to attack an author for it. These grammar nazis are so busy looking for missing commas that they obviously miss the story as it is never mentioned in their reviews, which of course are not book reviews, only huffy rants. Luckily, most readers are now well aware of these people and ignore their reviews and pettiness. Secondly, there are the expert editors, who seem to have a vocabulary that rarely extends beyond, ‘this book needs an editor’. I have never seen a review of this kind that explains why, though. Again, ignorable, but naturally, quite irritating. Lastly, are the non-believers. These are the book reviewers who love to question why a book has good reviews and a good star rating. They are attacking the author, sideways. In Internet slang, these are often called ‘haters’. They love to hate anything. The days of book reviews only appearing in The Times or The New York Times are long gone. For authors today, there are only comments of a few lines, either positive or negative. The closest to anything like thoughtful book reviews are usually only found on quality book blogs. So what can authors do? Nothing, or nothing much. It’s up to individual authors to decide on how, or whether they respond to reviews, but in my case, I rarely, if ever do. Perhaps if a book blogger notifies me on Twitter that they have posted a review of one of my books, I will respond in two words. Thank you. In my early days of publishing, I made the mistake of challenging a book reviewer or two and discovered that this was what they wanted me to do. You could probably call it attention seeking, as, by my responding, they got exactly what they wanted. A chance to publicly attack me even more. Nowadays I leave book reviewers to what they do. Posting good, bad, crude, silly, spiteful, boorish or even wonderful comments about my books. I occasionally read a few. Authors open themselves up to public criticism by writing and publishing a book. There is no escape from this. It goes with the job. Book reviewers, or rather, book commenters, though, normally prefer anonymity and tend to get quite upset if they are criticised. Poor souls. A book review every other day? One would have to wonder, huh, Jack? A “thank you” can certainly go a long way. Reviewers (or commenters) like to see that you’re paying attention. If the review isn’t great, no need to fight back. That will only generate more attention. Out of the 712,000,000. people around the world and remarking on those who read fiction, not any two of them have the same taste in literature. It is a well known fact (in my opinion) that as far as a story goes you can please a few readers all the time (fan club) and you can please a whole lot of readers for some of the time, but you can’t please … well, you know the rest. As a critic I am a ‘show not tell’ person. A well-described story, with as little adjectival usage as possible, is probably a good read. A good example of awful writing was something I read in the “look inside” on Amazon. On the first page glaring at me was… ‘saw three dangerous looking unarmed men…’ It had a 5 star review: “A wonderful read, gripping to the end.” (probably indigestion). I assumed it was written by the author’s mother. Yes, if I could critique a book, I would only critique the good ones and comment on the style, for all stories have been told and what readers (and money-grabbing publishers) are looking for is a style with ‘voice’. Take Iain Pearce’s “Stone’s Fall. An excellent example of first person narrative. As a book blogger, I find what’s disturbingly common are other bloggers who write what the story is about…but not do a review on it. I develop a dangerous tick when I see something like this. A synopsis of the book is NOT A REVIEW people. This is factually incorrect. Amazon purchased Goodreads in 2013 so the toxicity on the site has gotten WORSE since they acquired it. There is no ‘luck’ in Amazon owning the site. It’s just another child for ‘Daddy Warbucks’ Bezos to ignore. What authors need to remember is REVIEWS ARE FOR READERS, not for authors. I don’t visit Goodreads as an author or check on my reviews because they are not written for me. 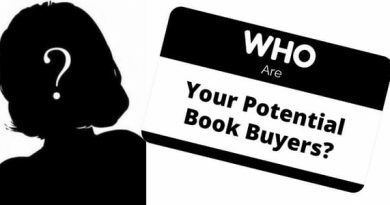 They are written for other readers to decide if they want to pick up our books. Amazon reviews are a mess. Amazon has never been on the ball in dealing with review fraud and then they decide to get heavy-handed and indiscriminately wipe thousands of reviews without warning or explanation. Therefore, many Bloggers will not post reviews on the site anymore. If you see a new release that has 50+ 5 star reviews on release day it’s clear that the author/publisher purchased those reviews. That kind of thing is not normal, and so with the scamming in KU, plagiarism, book stuffing and fake reviews, readers are also less likely to post reviews on the site. Readers take time to read books and write reviews. There is no point in posting reviews if they are going to be removed in the next cull.